Today was a fairly poor day for Liverpool fans, after hearing news that Trent Alexander-Arnold will be absent for a month with a knee injury and that Gini Wijnaldum is a doubt for Saturday’s tie with Crystal Palace. In the absence of his starting right-back and potentially his best midfielder this season, Jurgen Klopp has some big selection decisions to make against Roy Hodgson’s side – who beat Manchester City on the road a few weeks back. Joel Matip should be fit and ready to partner van Dijk, and we’d use James Milner at right-back. We actually think the ageing Englishman’s attributes are better suited to the position than they are in midfield, so have no qualms about selecting him there. 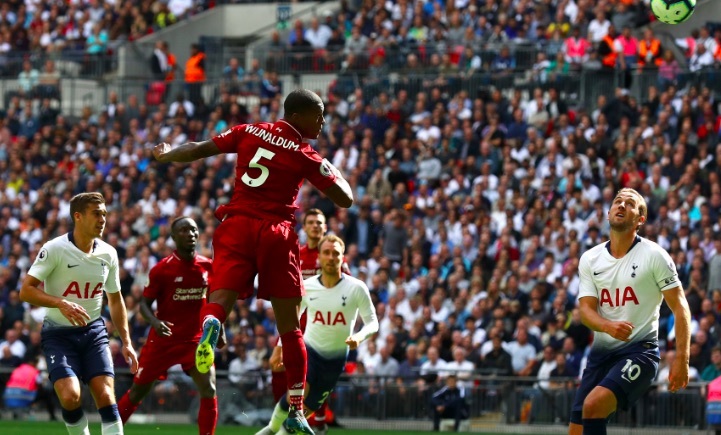 This allows Fabinho to take Gini Wijnaldum’s midfield spot alongside Jordan Henderson. Naby Keita is another option, but the Guinean has simply not been good enough recently to warrant a start, sadly. Ahead of the double pivot, Xherdan Shaqiri, Roberto Firmino and Sadio Mane can flank Mo Salah up top. Despite the injuries, it’s a very strong side and one we think has more than enough to defeat Roy Hodgson’s men.